Previous Post At odds and evens. Next Post Performance Culture, so what does it look like? A very interesting commentary on police culture and the potential impact of Twitter (one of the social media platforms). Are Twitter police users just another ‘club’, at the moment I would say they are. In my service there were multiple ‘clubs’ within my police service (or force). Some remained constant throughout, others contracted indeed a few disappeared and others, a good number being “politically correct” appeared. A few think these new “PC” ‘clubs’ exert far greater internal power than the old ones. 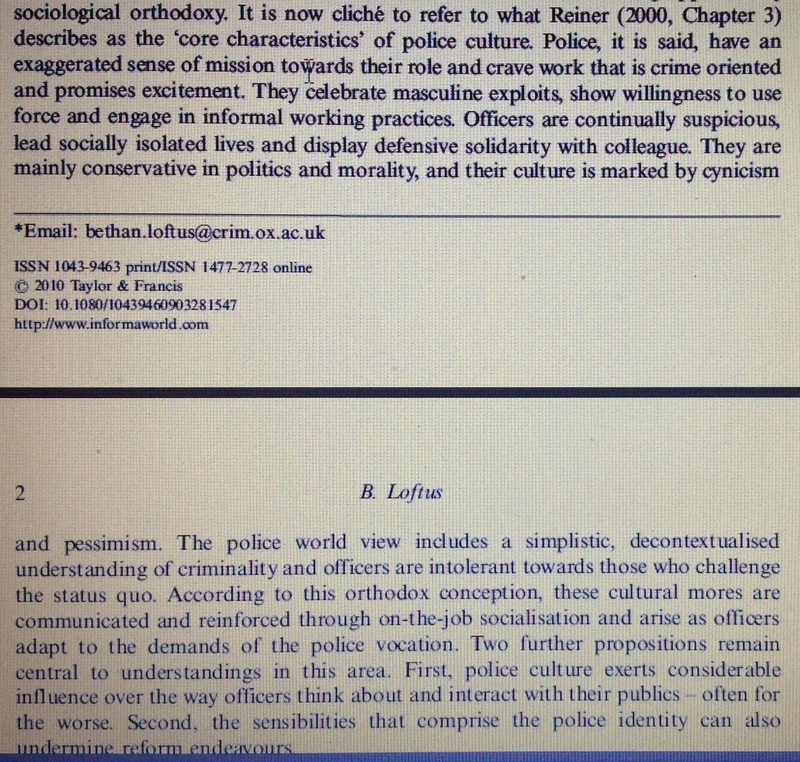 Sadly the police service praises diversity, but is robustly hostile to dissent. Even the slighest deviation, as Mental Health Cop experienced. We already know of police Twitter users, whether using official or personal accounts, who expressed their view of reality and became labelled as unhelpful, even hostile. In a recent HMIC inspection report a senior officer was congratulated on their engagement via blogging, for the two-way communication effect. Odd since they had only ever published three responses and none of mine! When the police quicly and rightly apologise for a mistake via Twitter; even discipline a senior officer for inappropriate conduct then we will know the culture has changed. maybe a bit OTT, but the Tweet response to a PC minus a uniform cap by his chief constable comes to mind. Do you think the “PC” label applies to corporate leadership?